On July 17th we had the privilege to set up a stall at Morden Family Funday where we were introduced to the Mayor of the London Borough of Merton, Brendah Fraser. Brendah has supported charity work across the borough and continues to be a strong advocate for the needy and vulnerable in the community. She was happy to see the work we have been doing with ABCD (UK). Meanwhile I set up our stall and sold various curios brought back from my last visit as well as student paintings. I look forward to both the Morden Fun Day and Mitcham Carnival next year. Along with the pastor at the Lutheran Church at Lyamungo Sinde I will be re-connecting with local community officials. I will be meeting with the new pastor, with the ward education officer as well as with the village chairperson to plan for next year’s assistance programme for orphans and vulnerable children. As well as planning for next year I will finish up tasks begun last year, including supply of sanitary pads for the new girls moving from year 6-7. My Autumn schedule this year includes further painting sessions with Standard 6 pupils not only of L.S. 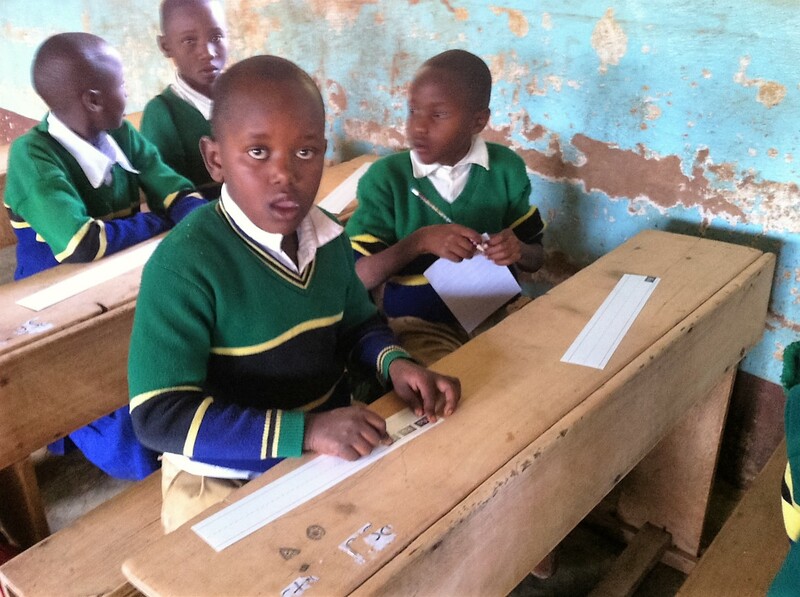 Primary, as was the case last year, but also with the students of Mwowe school. Art at ARI has just been completed. We have a new VOLUNTEER! This year I have had the kind offer from Andy Ollett, son of a Rotarian colleague from Morden Rotary Club to come to volunteer for the charity. 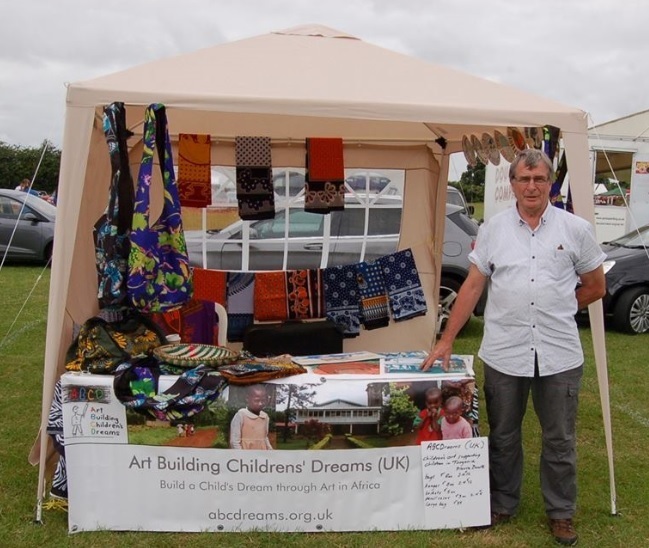 Andy has had experience of volunteering in Africa previously so should be a dab hand when he comes. He will be stepping into Martha’s shoes, staying in the village weekdays and home with us on the weekends. His brief will be in the IT field this time. This shouldn’t be too daunting as the equipment and level of access is at a very simple level. I have also had a request from the new village pastor to install a few computers for use in the church offices and for village access – a project I envisaged 3 years ago but have not had the resources or time to complete. With Andy’s help, we can work together on it and serve the village well in so doing. Finally, this year’s fundraising has been very successful. 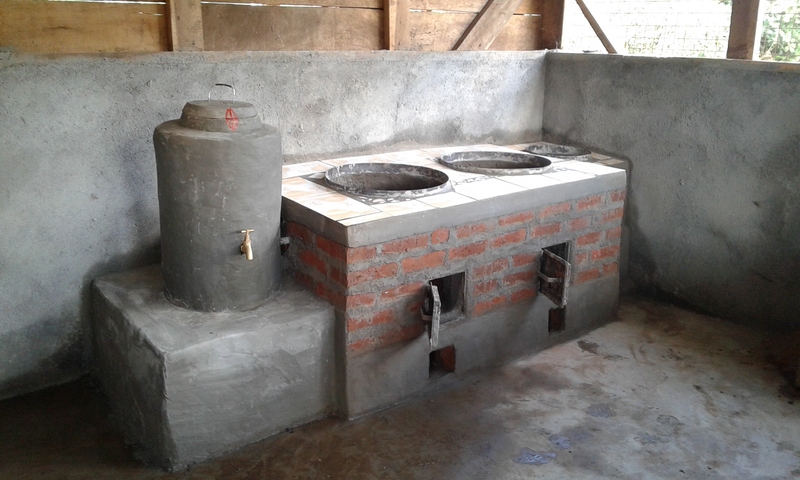 Last year, with the help of Morden Rotary Club I was able to finish a fuel-efficient cooker for ARI school. The school is very happy with the installation. With this year’s fundraising I believe we will be able to start on a new cooker at Lyamungo Sinde Primary School. As I mentioned in a previous post, most schools still use the 3-stone method of open fire but in an enclosed, poorly ventilated outdoor kitchen. This is unhealthy both for the cook and for the children who go in to collect their porridge. We are now ready for further progress into 2017. I just had a thought – this will be our 4th year of operations-quite a success story to date and a very busy 4 years. I’m looking forward to finding out the needs of the families this year as the government is now pledged to reduce the burden on parents. The tax-base has increased dramatically and those who thought that corrupt practices were the norm are now on the run, although there is still a lot of cleaning up to do. More soon.